What do medicine and astrophysics have in common? The answer is - a surprisingly large amount! Astronomy is mostly conducted through the medium of imaging technology, while medicine has been greatly enhanced using similar techniques. On the other hand, the two areas diverge in the kinds of imaging used to study or treat the objects under their respective scopes. Astronomical imaging has extended beyond using simple telescopes to advanced techniques that offer data on far-flung bodies we would have no way of seeing otherwise. For example, we collect light from exoplanets through spectral sensors and extrapolate their chemical contents based on the constituents of what is beamed. However, astronomers could also use better methods to analyze and interpret this data. This is where the skills and expertise gleaned from medical imaging could come in. In a new study, researchers from the Center for Space and Habitability at the University of Bern collaborated with experts from ARTORG Center for Biomedical Engineering of the same university. The astronomers, led by Kevin Heng, set out to find better algorithms to process their light-spectrum data. This data may be a robust indicator of the atmospheric content of an exoplanet and may help astronomers know if there is, for example, water in the said atmosphere or the planet’s surface. But, the analysis was a time-consuming and resource-intensive process, in which the existing models based on similar data from other bodies were compared to the new data. In order for astronomers to use the new machine learning (ML) techniques effectively, resources such as deadlines and manpower need to be considered. It follows that if the ML contributions to spectral analysis are not saving labor or time, they should be improved or replaced with new AI solutions. Raphael Sznitman of the ARTORG Center suggested that the random-forest modality for machine learning could be of use in place of astronomy’s current techniques. 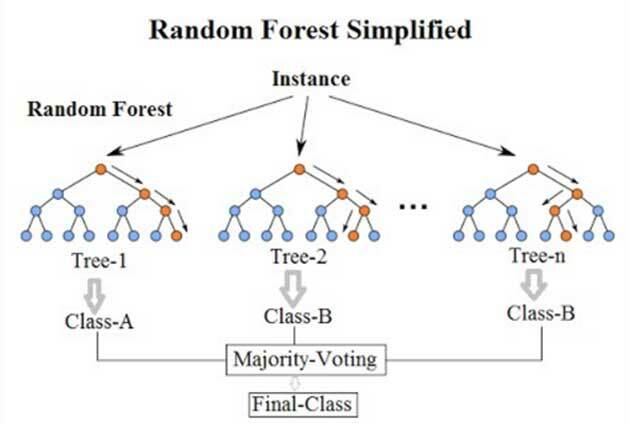 Random forest is a profusion of decision trees and is typically used to recognize characteristic shapes or patterns in a given image (like Face Unlock in many modern-day smartphones). 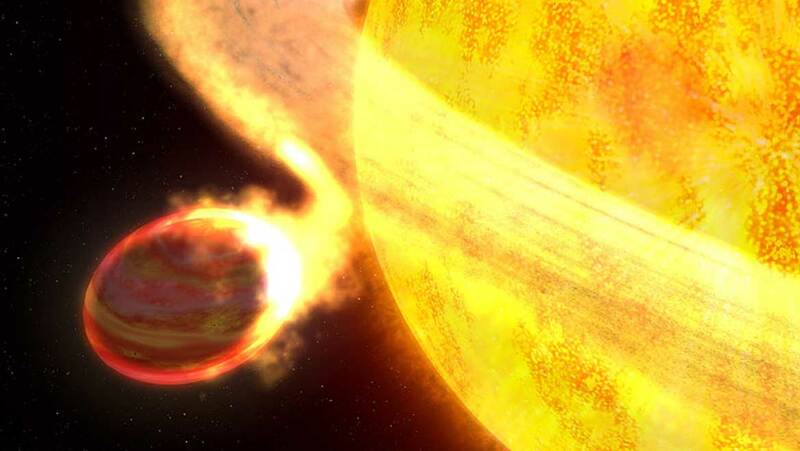 The team then demonstrated the successful completion of their model by turning in on the problem of WASP-12b, an exoplanet in the form of a gas giant (i.e., somewhat like Jupiter). They set the model to glean thermal data, in addition to the volumes of water, hydrogen cyanide and ammonia, and how the volumes of these compounds related to the other two from WASP-12b’s spectrum. The researchers reported that the random-forest-based analysis of this data and its results compared well with those arising from a more conventional (nested-sampling retrieval) approach. It was concluded that their model also produced an appreciable amount of high-quality analytical data. In addition, the investigators claimed that their random-forest model could be applied to the spectral data from other exoplanets without alteration. The method could also incorporate more atmospheric models – including those of greater complexity compared to the ones it had initially been trained on – in order to improve its ‘learning’ capabilities. Furthermore, Heng reported that the new model was as good (or sometimes even better) when it came to nominating the data points to define a given parameter. Finally, the entire program (which runs on Python) can reportedly conduct its tasks in the space of a coffee break! This new development has also been written up into a research article and has been published in a recent issue of the journal, Nature Astronomy. These findings may be particularly good news for fans of medical imaging, as the same team intends to collaborate again on further projects that may bring this random-forest method (or something like it) into the clinic. But the best news for fans of machine learning, in general - Heng and his colleagues' idea to bring their software to the public. The study of exoplanets in deep space faces many challenges, one of which is never having enough staff members to analyze all the spectral data they gather. However, this new form of machine learning may change that, thanks to insights from medical imaging. Teams who use this new program may have better chances to access the raw data from long-range instruments. It could also benefit the discipline from where it was derived. P. Márquez-Neila, et al. (2018) Supervised machine learning for analysing spectra of exoplanetary atmospheres. Nature Astronomy. K. A. Pearson, et al. (2018) Searching for exoplanets using artificial intelligence. Monthly Notices of the Royal Astronomical Society. 474:(1). pp.478-491. L. Breiman. (2001) Random Forests. Machine Learning. 45:(1). pp.5-32.